Ben Jealous may not be generating a lot of buzz in Maryland, but the national and now international press is all over his campaign. That statement may seem fine on its surface. It may seem like that Ben Jealous just wants the people of Maryland to get involved in their community. But there is a seriously sinister nature to what Jealous is saying here. Ben Jealous is not just saying that, if elected Governor, he will want people to be involved in their community and involved in the political process. He is saying that he will be teaching them exactly how to organize. If he is teaching them how to organize, he will naturally teach them what they should be organizing for. And given how Ben Jealous wants to already expand the size of state government, raise taxes, and double our state budget, he will certainly find room in the state budget to pay for these training sessions on the taxpayer’s dime. Ben Jealous will make sure these organized residents become weapons of the state government. You may think that this kind of statement is an overreaction, but it’s not. The only reason why Jealous would make a statement like this would be if he thought it was to his personal and political advantage to do such a thing. Jealous will certainly not be teaching “basic” principles of political organizing. He will be ensuring that residents get taught in a manner that puts his agenda items, his ideology, at the forefront of the training. People won’t be trained how to organize, they will be trained to be organs of the Ben Jealous political machine. If this sounds like an attempt to create a cult of personality based around Ben Jealous, if this sounds like something that would happen in totalitarian states like Cuba or Venezuela, you’re right. We have talked about Jealous trying to turn Maryland into Cuba on the Chesapeake. But nothing speaks to the burning desire of Ben Jealous to preside over a totalitarian state than this. He wants to use taxpayer dollars to turn ordinary citizens into agents of the state spreading propaganda and organizing on behalf of its leader. 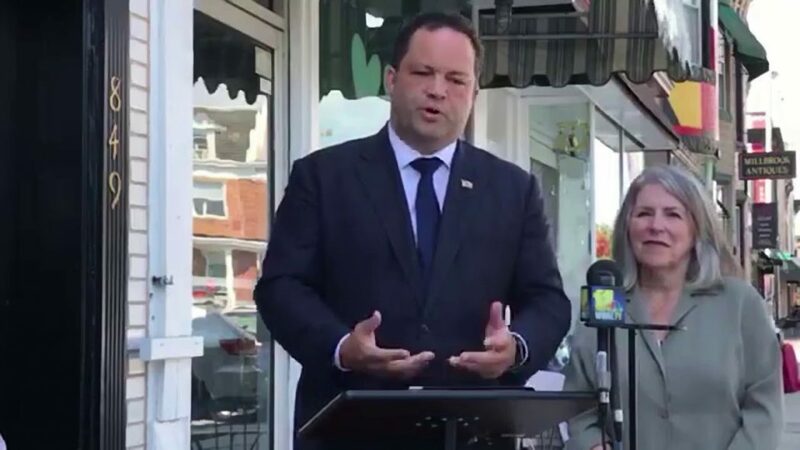 If that doesn’t raise alarm bells as to what kind of socialist hell Ben Jealous wants for Maryland, nothing will.